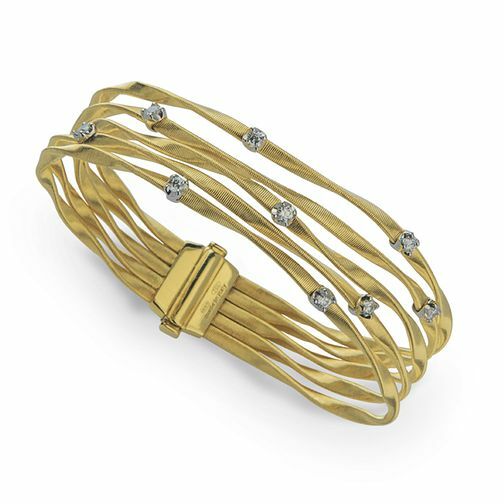 From the artisanship of Italian brand Marco Bicego, this striking bracelet from the Marrakech collection is an opulent accessory designed to make a statement. Crafted in 18ct yellow gold and adorned with 1ct worth of sparkling diamonds. Marco Bicego jewellery combines passion and craftsmanship in stunning designs.